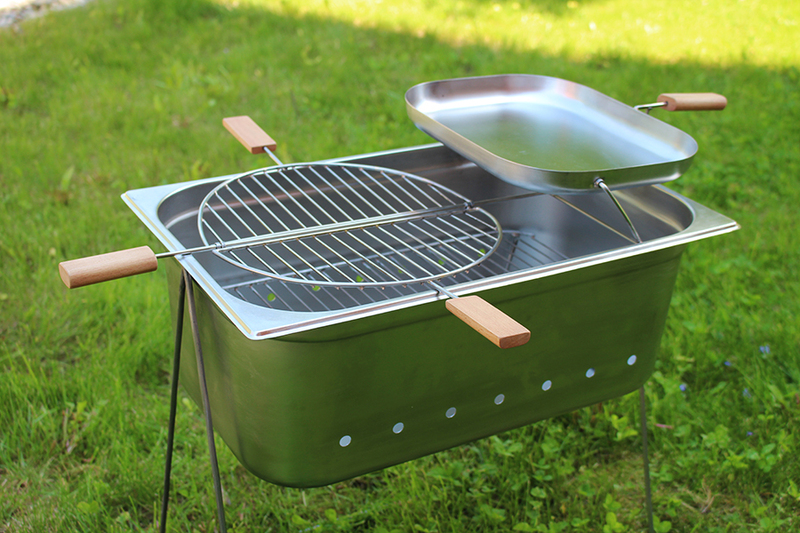 In order to bring variety in the world of grills, the task was to make a grill which suits to a specific recipe. As fans of vegetables and cheese we decided to build a grill for the mexican dish quesadilla - the “Quesagrilla”! Due to the two components of this dish (the flat bread and the filling) the grill required two different grill surfaces. 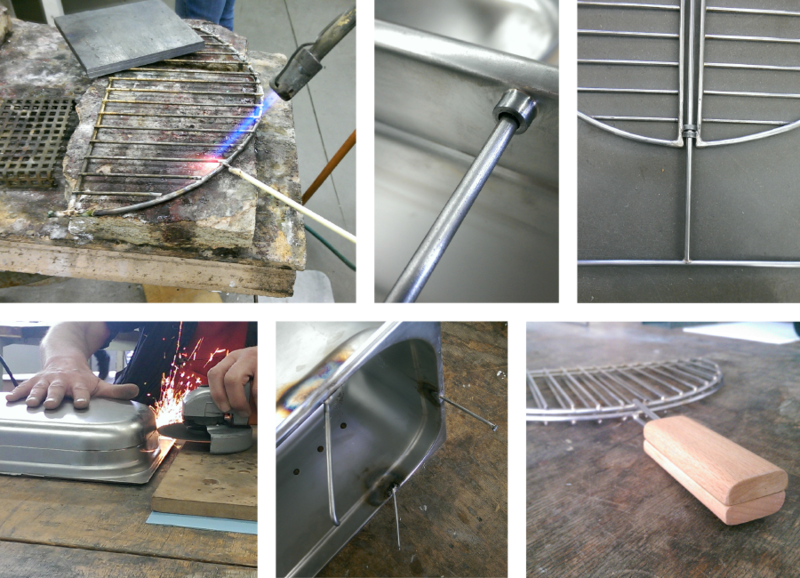 After gathering and sketching ideas of possibilities to integrate the two surfaces we agreed on putting the following variant into practice: Our model should consist of a basin for the coal, a grillage for the flat bread and a shovel for the filling. Photos of the realization process. 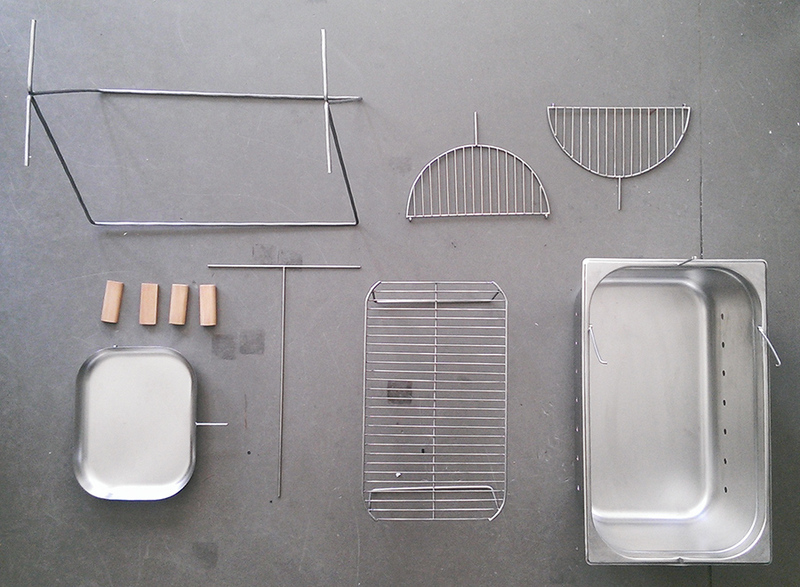 The grill dessembled in all its components. The final prototype: Clean, simple and harmonious through consistent material and forms. 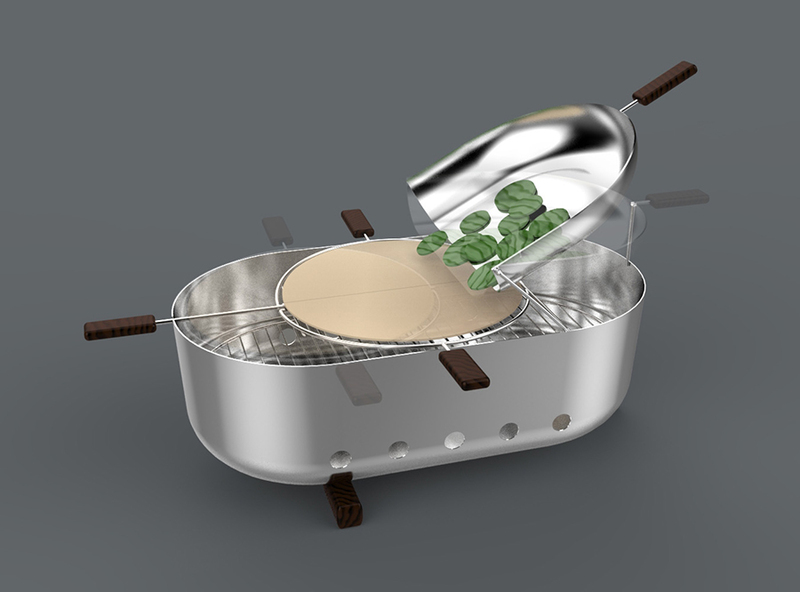 The design model includes rounder basins which form a union with the round quesadilla. To put the filling on the bread, move the grillage under the shovel and turn the shovel around, so the filling will slide down. 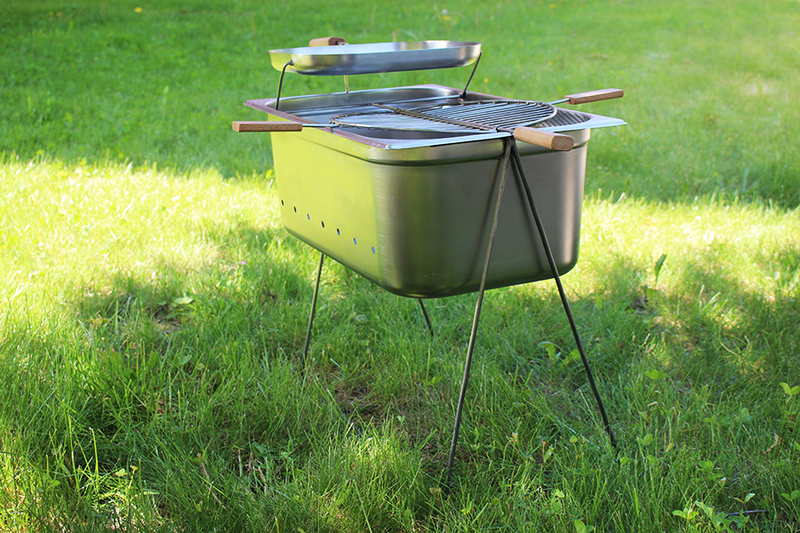 With all these moving elements grilling will be full of action and joy! All works © Katharina Elleke 2017.